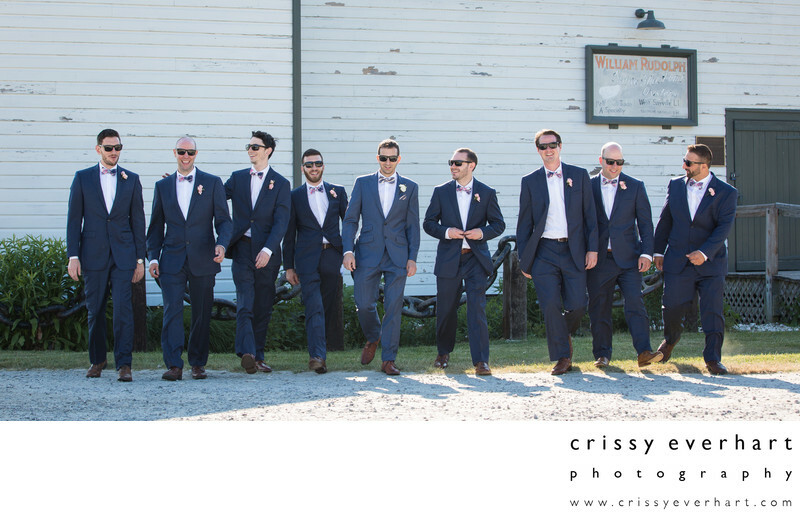 Groom and groomsmen, in sunglasses, do the "Reservoir Dogs" shot as they walk towards the camera in front of the boat house at Long Island Maritime Museum in West Sayville, New York. The Maritime Museum is right next to The West Sayville Country Club, so this wedding took place on the docks of the Maritime Museum, then they celebrated in the Country Club. Location: 86 West Ave, West Sayville, NY 11796.